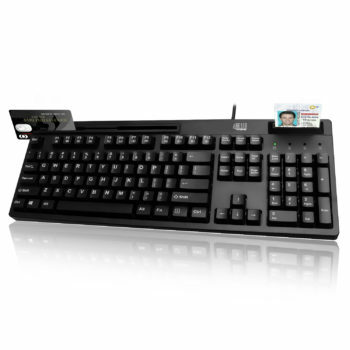 Adesso EasyTouch™ 630RB Smart Card & Magnetic Stripe Reader Keyboard features a 104-key keyboard layout with a built-in Smart Card Reader (SCR) for identification systems, secure web applications, and secure login, as well as a Magnetic Stripe Reader (MSR) for secure Credit Cards.This is the perfect Point of Sale Keyboard with security and multi-functional abilities. 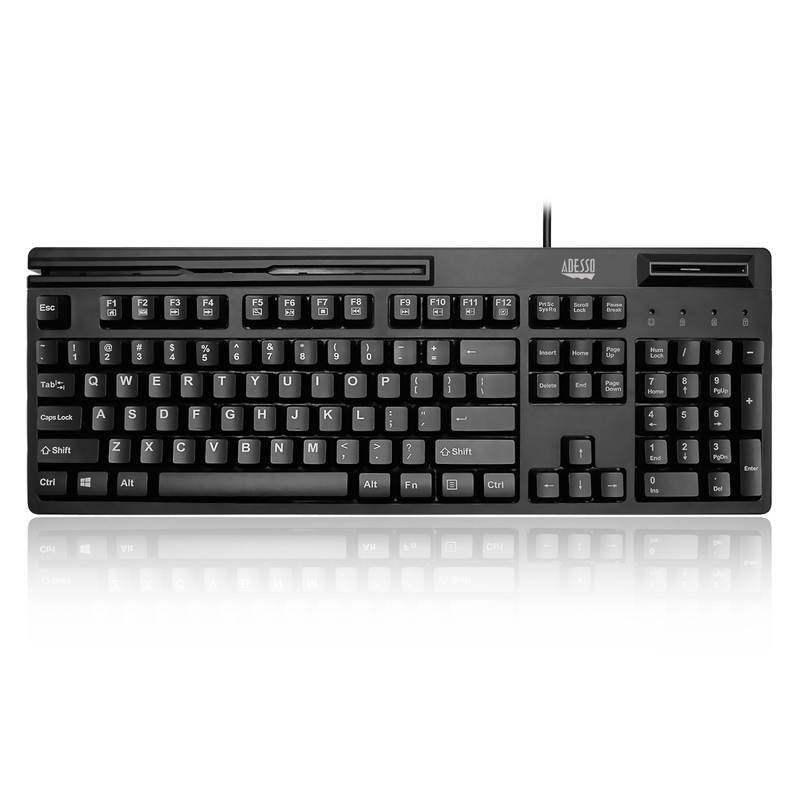 This full-sized keyboard is perfect for any desktop, kiosk, office, or warehouse, while the built-in multi-functional hotkeys allow quick access to your multimedia controls and Internet browser commands. 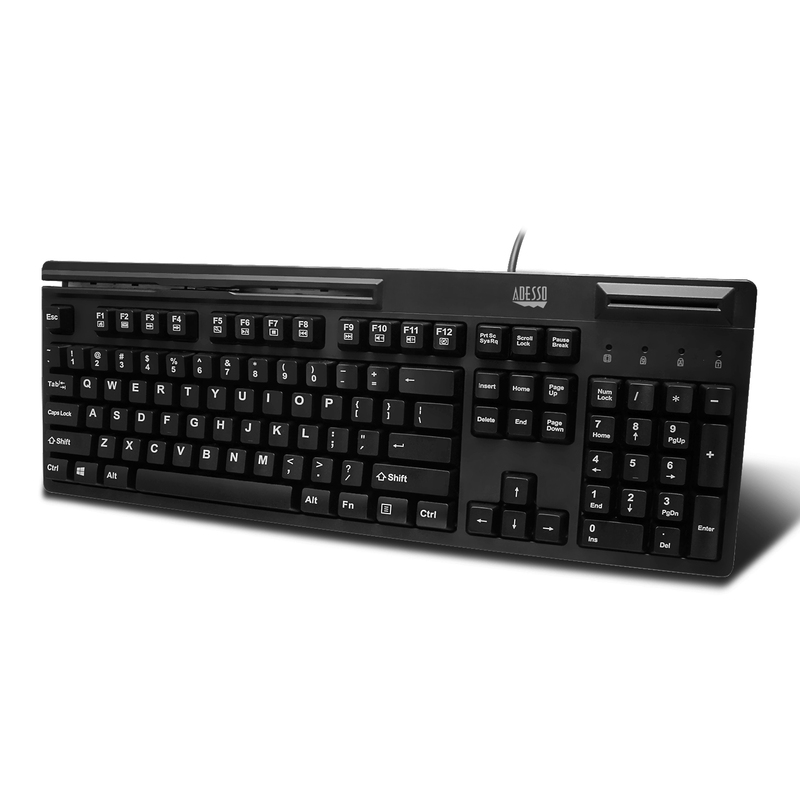 The Membrane Key Switches provide long lasting and durable action, smooth to the typists touch, and do not attract as much dust and grime as other keyboard switches. With all these amazing features, Adesso EasyTouch™ 630 Smart Card & Magnetic Stripe Reader Keyboard is the ultimate all-purpose full-sized keyboard for business, security, and retail. Brings extra security and ease for identification systems, secure web applications, and secure logon. Due to its secure nature, smart card keyboards are extensively used by industries like, healthcare, e-commerce, and government agencies. 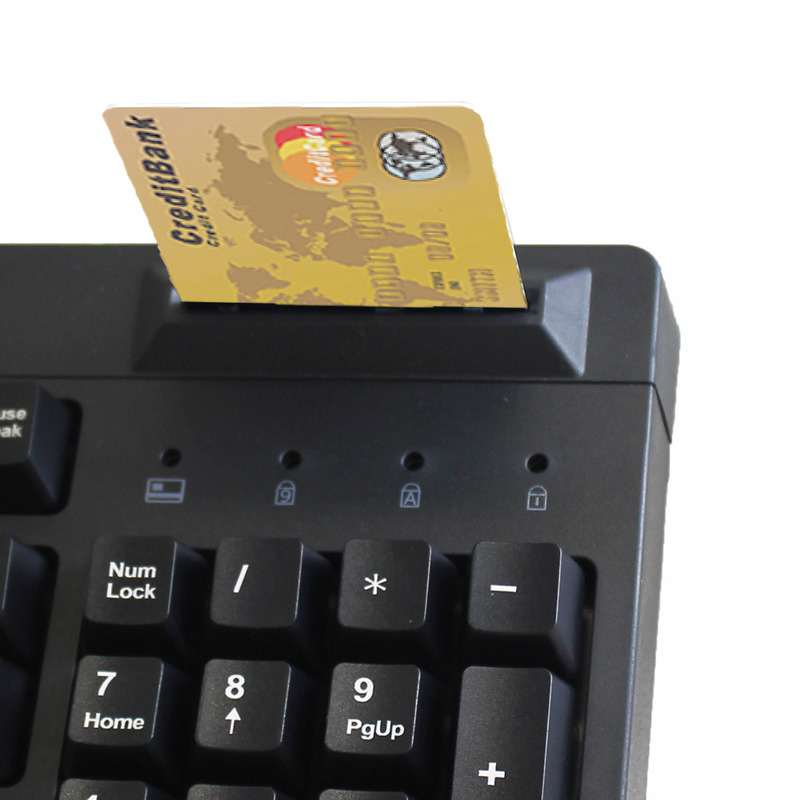 Magnetic stripe readers are read by a computer program through the keyboard wedge and are categorized by the way they read a badge. 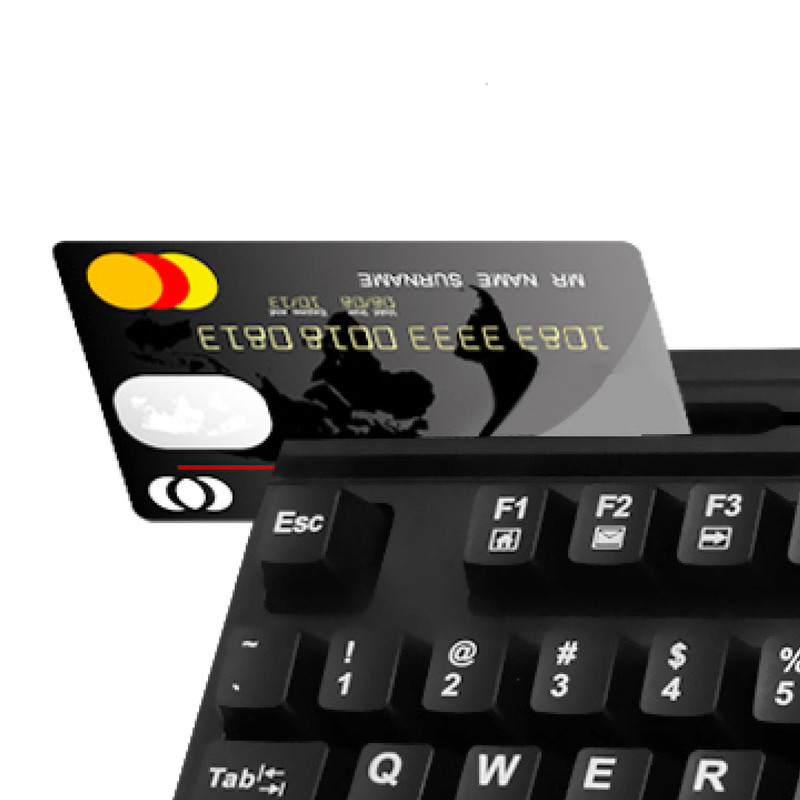 The magnetic stripe reader reads the information on the magnetic stripe by detecting the changes in the magnetic field caused by the flux reversals. 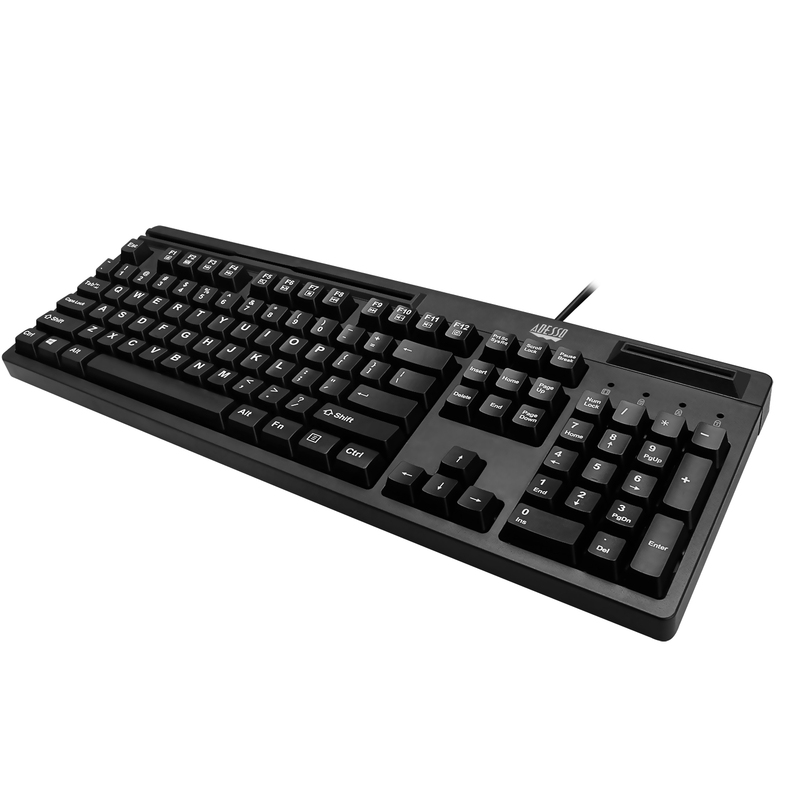 Made with antimicrobial material on the keycaps which contain chemicals intended to kill and prevent the growth of harmful bacteria and protects against the build up of germs. Control your media player and browse the Internet with just one key using the built-in Multimedia and Internet hotkeys for easy access to your favorite media or websites. 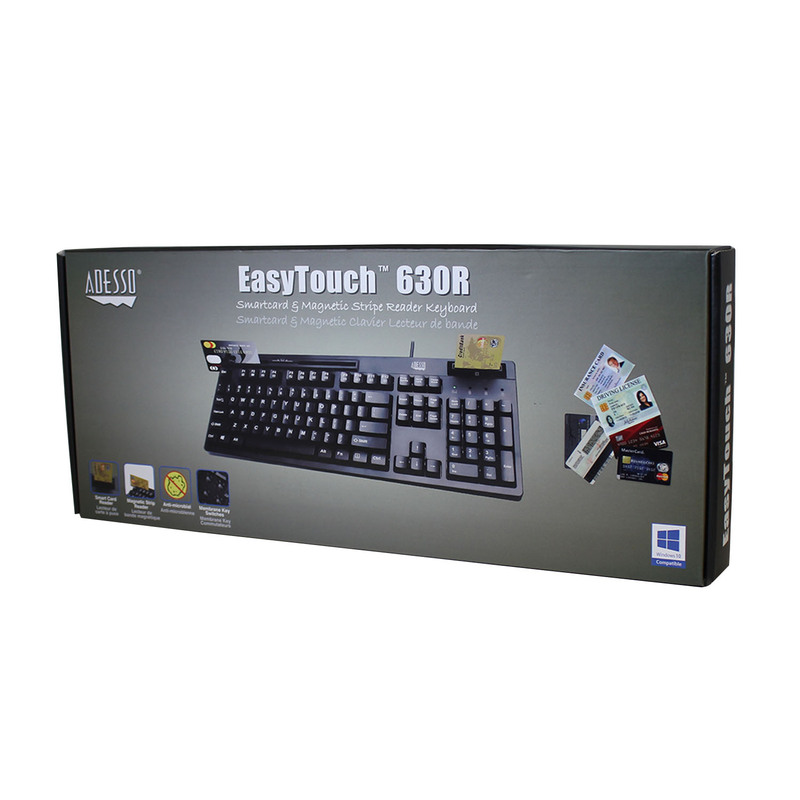 The Membrane Key Switches provide long lasting and durable action, smooth to the typists touch, and do not attract as much dust and grime as other keyboard switches. USB Smart Card Reader requirements. Supports EEPROM for USB descriptors customization (PID/VID/iManufacturer/iProduct/Serial Number), Direct Web Page Link, and accessing memory card module.